Dallas Zoo’s Zoo Corps youth-led conservation team guest-blogs on ZooHoo! Our group of 14 high school Corps members worked together to select a challenging conservation issue, develop a solution, and put it into action. Here’s their story. In 2016 alone, nearly 1.5 billion smartphones were purchased around the world. And sadly, the ramifications of producing these small electronic devices is seriously harming wildlife habitat. Every minute, 150 acres of rain forest is lost to deforestation, depriving animals of their homes and people of crucial resources. 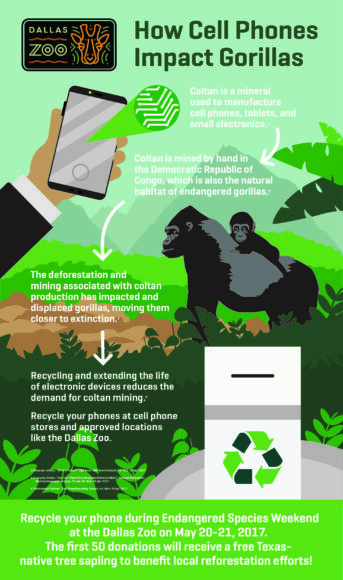 One major cause of habitat destruction in central Africa is the mining of the mineral coltan, which is widely used in common compact technology devices, such as cell phones. The plight of critically endangered gorillas, a species already challenged by a variety of issues, is further exacerbated when their habitat is destroyed for unsustainable cell phone production. The Zoo Corps team is combating this issue by holding a cell phone recycling drive so Dallas Zoo visitors can bring in electronic items to be recycled. By salvaging and reprocessing usable pieces, this drive will play a part in reducing the demand for coltan, which, in turn, will help save gorillas and other forest animals. Although this issue is daunting, we can help make a difference. During the Zoo’s Endangered Species Weekend, May 20-21, the first 50 Zoo visitors each day will receive a free Texas native tree to plant at home in exchange for an approved recyclable electronic! While supplies last, even those who are unable to bring their used technology may be able receive a tree at no cost by learning about deforestation and answering trivia questions throughout the weekend. We ask everyone to participate in this exciting event by donating old cell phones and electronics! We’ll work with the conservation-minded company Eco-Cell to make sure your device is recycled. And if you can’t make it out to Endangered Species Weekend, you can still recycle your small electronics any time you visit the Zoo. In the meantime, consider attending a tree planting session in partnership with the Texas Trees Foundation to help fight deforestation. Here’s the low-down on how you can recycle your electronics at the Zoo. *Note: Apple, Best Buy, Staples, and other retailers will take larger items like these. Call your local store to find out more. Backup your device and save any data you want to keep, such as contacts, photos, or music. For security purposes, we recommend resetting the device and wiping all data. Specific instructions can be found online for various devices. Remove the case and/or screen protector. Where can I drop off my device? You may drop off your used devices with a staff member at the Membership Services booth, ticket booths, Information Booth. You may also leave them in the drop box at the Jake L. Hamon Gorilla Conservation Research Center at the Dallas Zoo while you’re here visiting our gorillas. Humans are squishy. It’s been a long time since our ancestors shared any of the strong, physical traits of the other great apes. And while those primates evolved to be big and tough, we did not. As our brains began to develop instead, we became adept at using tools and learned to control fire, build shelters, and grow our own food. These advancements set us on a course to be very smart – and very squishy. We no longer needed to be big and tough, so those traits began to go away as we became more technologically advanced. The other great apes continued down their own paths, which still require them to be strong, powerful animals. In their environments, being tough is the key to survival. It’s no surprise that a 450-pound gorilla with canine teeth 2-3 inches long can leave a nasty wound on another gorilla, and from time to time we see that here at the Zoo. When cuts and scrapes occur in our gorillas, we’re always ready to treat and monitor them until every last scratch has healed. So why do these herbivorous animals have such big teeth to begin with? Well, those teeth are for protection. Gorillas don’t have any true natural predators, although some research suggests the possibility of rare conflicts with leopards (definitely a good time for big teeth). The most common threat to a silverback gorilla is generally another silverback. A male may try to challenge another to usurp his throne or steal females to build a troop of his own. Male gorillas have much larger canines than females, and they use those teeth to protect the females and youngsters in their troop. If challenged, gorillas go through a long list of behaviors, trying to avoid a physical conflict. If you think about it, fighting someone means you’re just as likely to get hurt as they are, so why risk it? 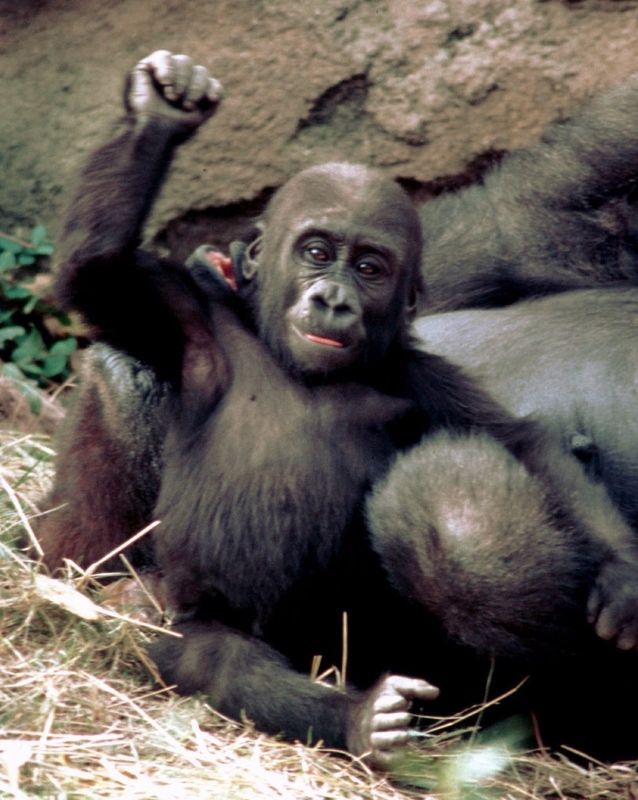 Gorillas are peaceful, laid-back animals that generally keep to themselves. In the wild, keeping a 400-pound frame of muscle while sometimes eating only the caloric equivalent of wild celery means there aren’t many good reasons to waste energy. However, when threatened, a male gorilla will not hesitate to defend his troop. Fighting isn’t just a human trait, it’s part of life for much of the animal kingdom. Being that we’re so delicate, we’re used to even small wounds requiring attention, so our own experiences create a predisposition to react to wounds a certain way. Cutting your finger on a broken glass could require stitches, but in the middle of the jungle you don’t have the luxury of hopping in the car and heading to the hospital. As bad as an open laceration may appear, it may not be that big of a deal for the gorilla. 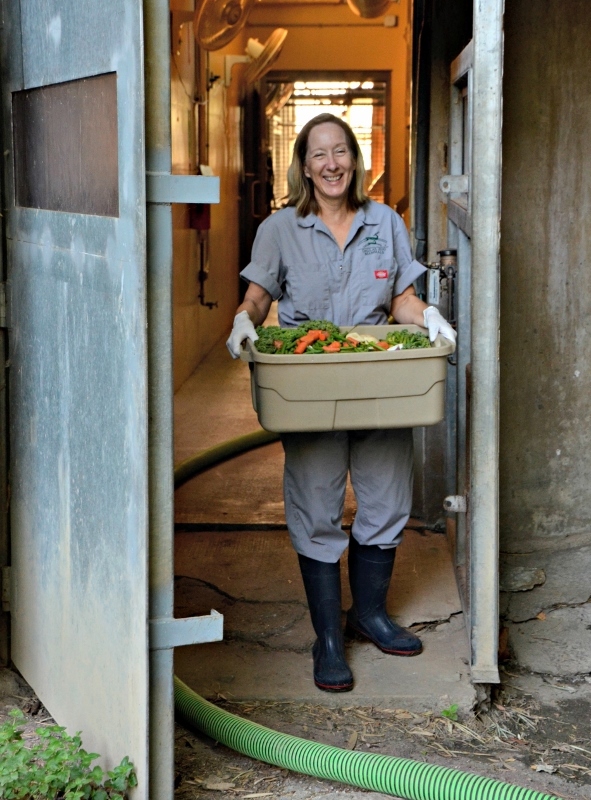 At the Dallas Zoo, we have an exceptional veterinary staff that can treat just about anything, and we don’t hesitate to call upon them when needed. Keeping that in mind, most animals are experts at taking care of their own wounds, and gorillas are no exception. 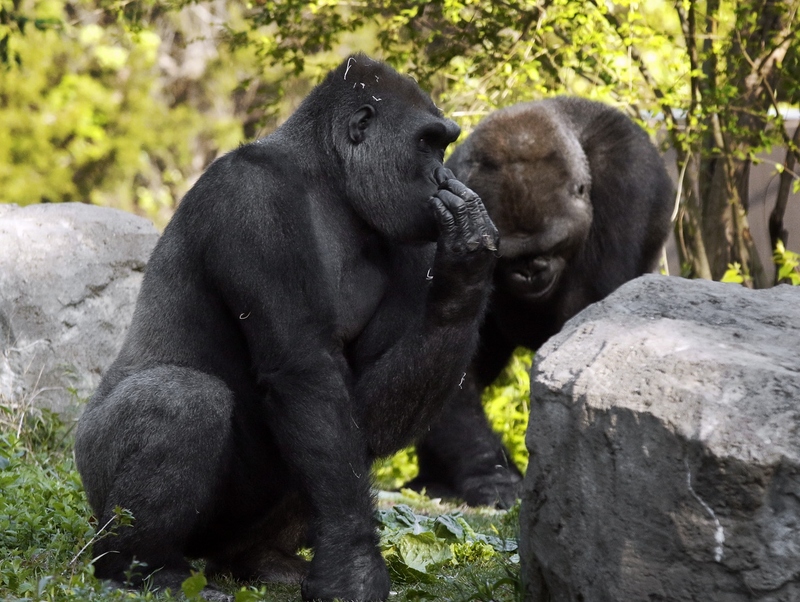 If you see a gorilla with an open wound, you may notice them grooming it with their fingers and utilizing nature’s ultimate antiseptic, spit, to keep it clean. As zookeepers, we keep a close eye on injuries to make sure things are healing appropriately, but when we can, we try to let the gorillas handle the job. The decision to anesthetize a gorilla to suture a wound is a carefully calculated risk/reward scenario, especially considering that more often than not that gorilla is going to hand you back those sutures within a few hours of waking up. We train with the gorillas daily to make sure we can see every part of their body. We also desensitize them to being sprayed with antiseptic sprays, and we work on more complicated behaviors, like hand injections. 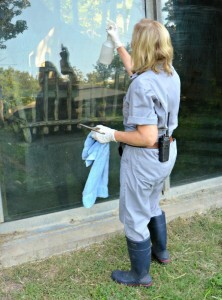 If a gorilla were to need an injectable medication, which is rare, we want to get it to them in the least stressful way. We also record even the smallest injuries. We use a very detailed system to document every injury and the details of the situation in which it occurred. Photographs are especially helpful, as they can be used as objective data to monitor the healing process. This information is not only important for individual injuries, but for enhancing our ability to treat future injuries. In recent months, we have seen a few different wounds to gorillas in our bachelor troop. This troop consists of four 14- to 15-year-old males. Sometimes we see genuine social issues develop, while other times play just gets a little too rough. Bachelor troops are a relatively new concept in zoos, so constant, adaptive management is the key to peace within the troop. Between the keeper staff and our volunteers in the Gorilla Research Station, we’re able to keep a close eye on all eight of our gorillas. This has been very important as we move into a new phase of troop management with the four bachelors. This troop has been together since 2013, when Shana and Zola came to Dallas from the Calgary Zoo to join Juba and B’wenzi. When the boys were 10-11 years old, they started forming social relationships, which comes in handy as they get older. With the information we have as other institutions manage similar troops, we know that management of bachelors is most difficult between ages 14-20. Having similar life expectancies and developmental stages to humans, we understand why these years are the most difficult (right, parents?). Bachelor troops exist both in human care and the wild, and they serve a number of purposes. As young males begin to grow, the silverback generally will force them out of the troop, avoiding a threat to his position. Sometimes those exiled males will band together and form bachelor troops. These groups are generally transitory, but allow for development of social behaviors and provide some degree of protection from outside threats. In zoos, bachelor troops are used to manage unattached males. Gorillas have a 50:50 birth ratio, just like humans, meaning that having single-male/multi-female troops isn’t possible for everyone. 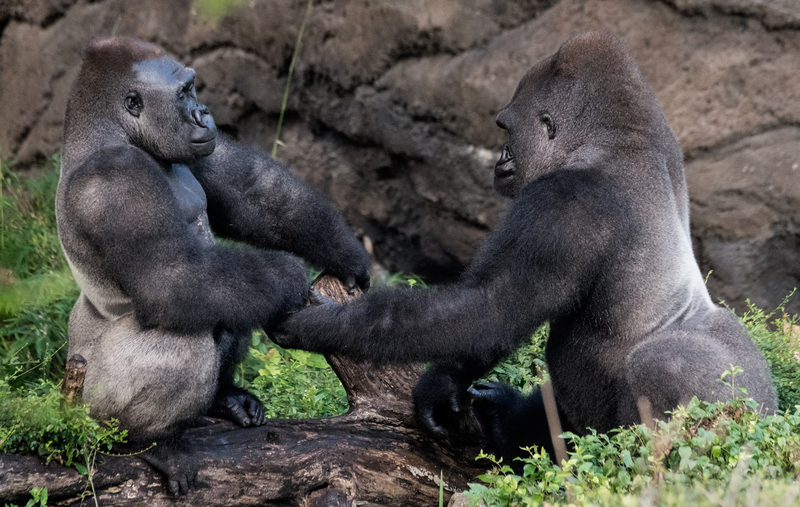 Bachelor troops can provide healthy social environments for growing male gorillas, which are often more closely bonded than they would be with female gorillas. With all of our social apes, we also see an increase in aggression during introductions and reintroductions, which is another reason we avoid more invasive and intrusive courses of treatment. 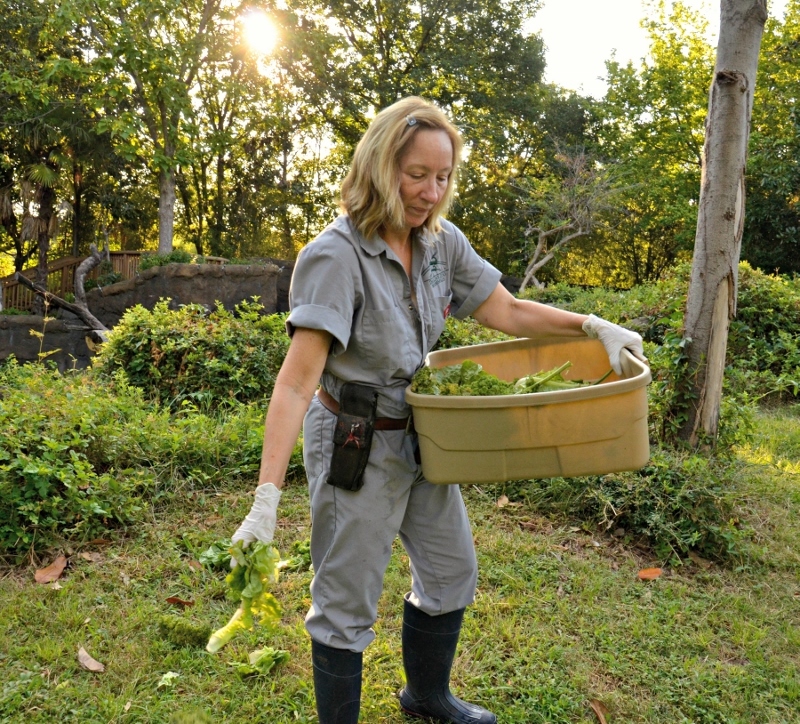 When possible, we try to avoid separating the gorillas for long periods to make sure we keep aggression to a minimum when they get back together. When animals are injured in the zoo setting, it’s important to know the team behind the scenes is on the job at all times. If an animal needs to be watched 24 hours a day, we’ll be here with them. If they need to receive medication at a certain time, someone will be there. 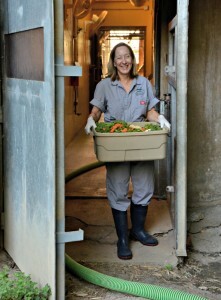 Between the keeper staff and the vet staff, we do all we can for preventive and reactive care of our animals, and not a scratch goes unnoticed under the watchful eye of the animal staff here at Dallas Zoo. Conservation concerns about animals may not be top of mind for most teenagers, but the ninth graders at Village Tech High School are far from typical. 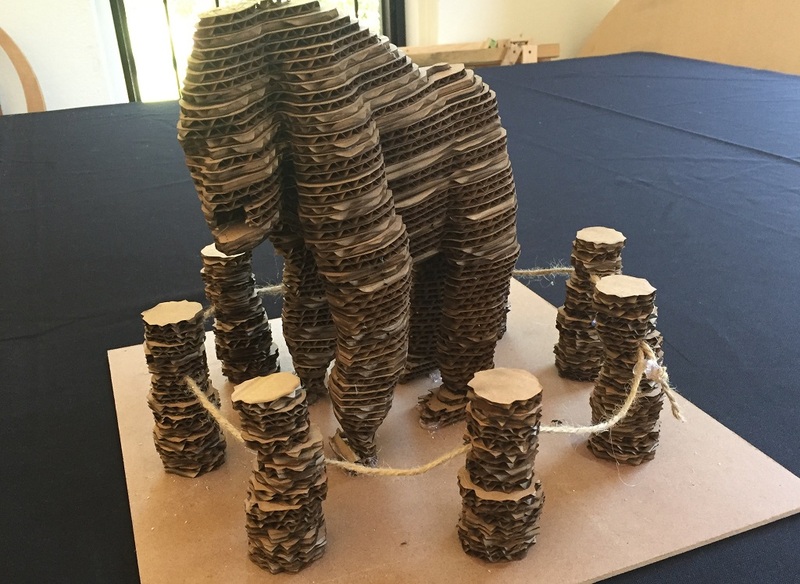 The students from the Cedar Hill charter school were challenged this past spring to think deeply about endangered animals for a semester-long project integrating many different school subjects with an end goal of a prototype interactive sculpture. A partnership with the Dallas Zoo elevated the original challenge by giving the students the opportunity to talk with experts and possibly have their work displayed to the public. “The Zoo gives the project credibility and an authentic audience,” said Justin Robinson, the director of the Forge, the school lab that brought these projects to life. By the end of the year, the ninth graders completed four interactive art display prototypes highlighting the ocelot, African elephant, hawksbill sea turtle and western lowland gorilla. These projects used art, engineering, science and more to tell the tale of endangered species. 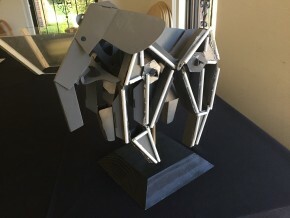 The western lowland gorilla team planned to create a gorilla sculpture that looks like it is covered in concrete, emphasizing the habitat destruction that is threatening the animal’s population. 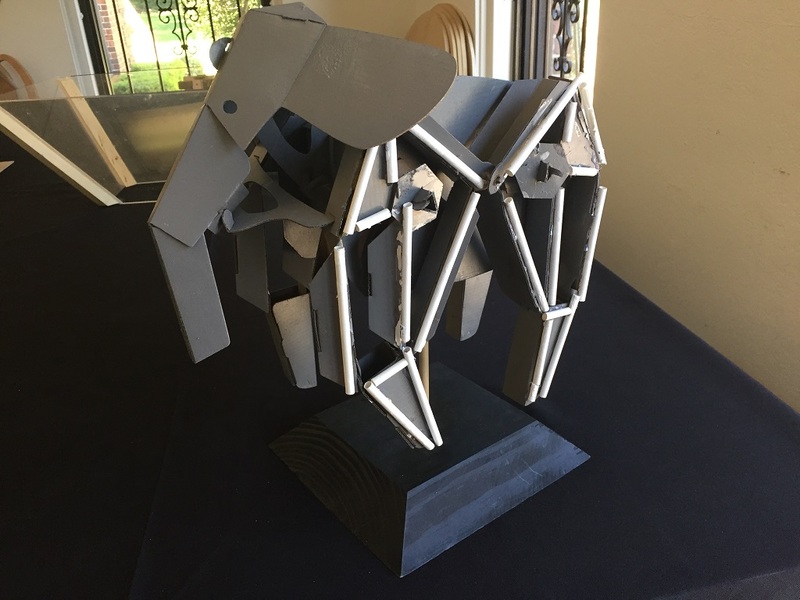 This team created a mechanical sculpture showing the stride of an adult elephant. An integrated 15 minute countdown clock reminds the public how often an elephant is killed in the wild for its ivory. 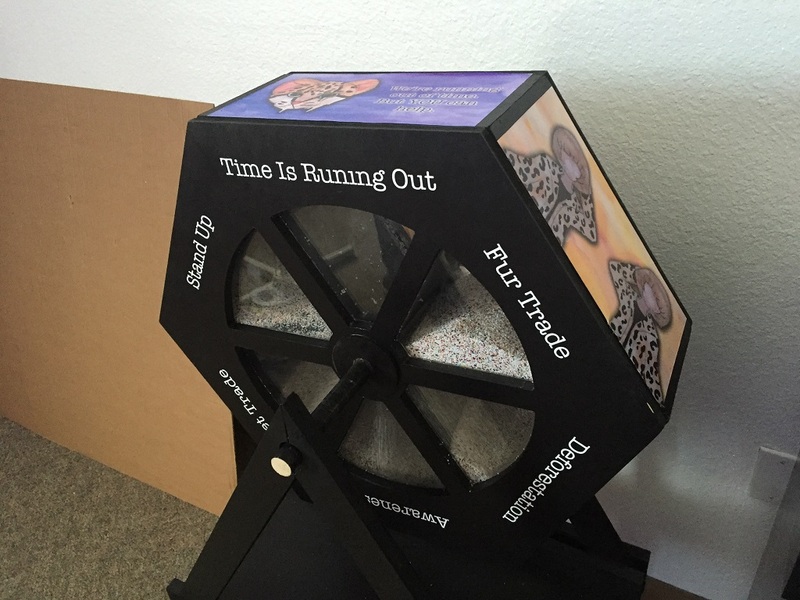 The ocelot team created a sand timer wheel with facts about the carnivore. As you spin the wheel and read the facts about ocelots, the sand timer continually empties, much like the ocelot species in the wild. 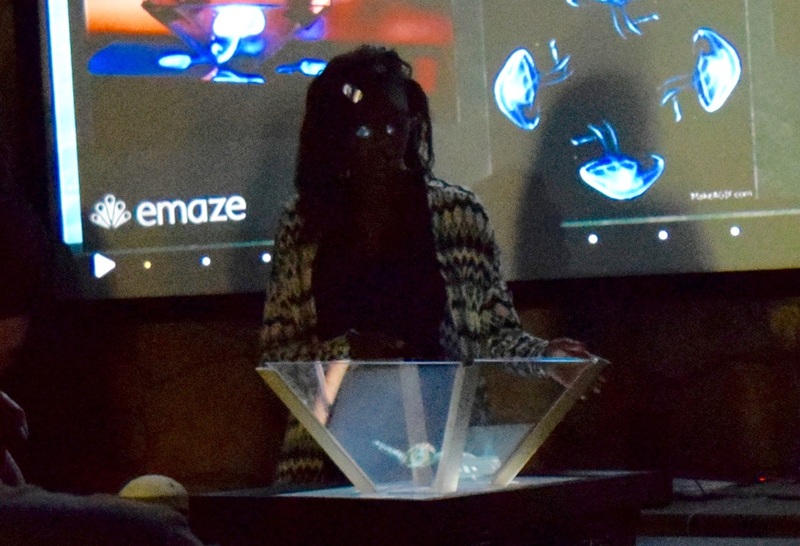 The team created a hologram projection of a hawksbill sea turtle swimming. It’s activated with a 3D-printed button. The team tried using living dinoflagellates marine plankton to illuminate the activation button. 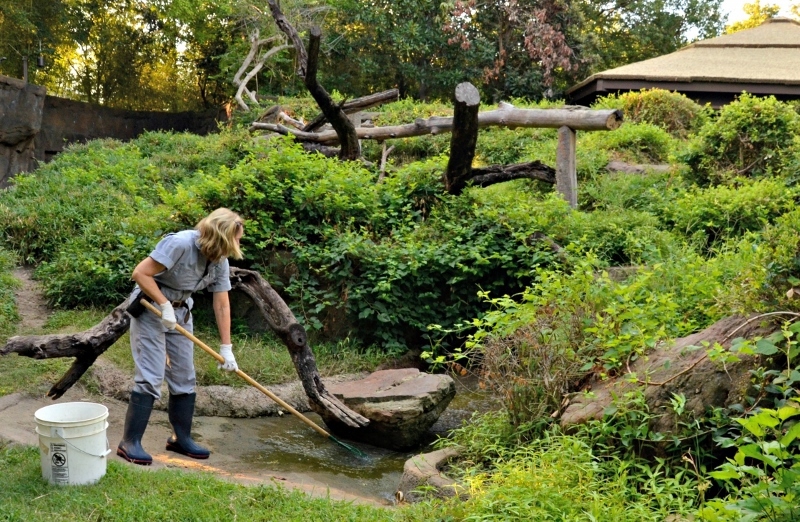 The hawksbill sea turtle and African elephant projects were selected by Zoo judges to be scaled up and adapted into public displays at the Children’s Aquarium and Dallas Zoo. It’s onto the (now) tenth graders to press on with the projects. With the conceptual idea and prototypes created, they must solve more problems like how to scale up the sculptures, make them self-maintaining and safe for the public before eventually debuting the sculptures at the two venues. Congratulations to the students at Village Tech. We can’t wait to see these larger-than-life projects with important message inside our Zoo and Aquarium gates! 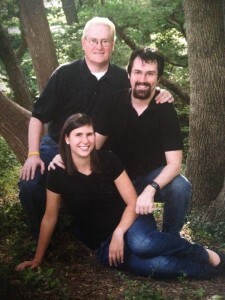 David with his now adult children, Amanda and Ryan. It was December 1985, and Oak Cliff resident David Luther was about to celebrate his daughter Amanda’s first Christmas. He wanted to give his little girl something special, something she’d have for years to come that would never be the same. David gave her the intangible gift of adopting a Dallas Zoo animal. “It was like eating potato chips — once you did it, it just made sense to do it again and again,” David said. And he did. The following Christmas he adopted another animal for his newborn son, Ryan. It’s a present David has continued to give for almost 30 years now, making him one of our longest-running adopters in the Adopt-An-Animal program. While we’re incredibly grateful for his decades of generosity, David says it’s nice to have one Christmas gift in the bag he never has to worry about. Baby gorilla Wakub (nicknamed Jake) born in 1998. Adopting one of 50 available animals helps provide care and feeding for that resident, habitat improvements, enrichment items and zookeeper training. Your adopted animal will remain at the Zoo, where we can give it the expert care it deserves with the help of your support. All adoptions are valid for one year and include a personalized package. For more information and to see the list of available adoptees, click HERE.